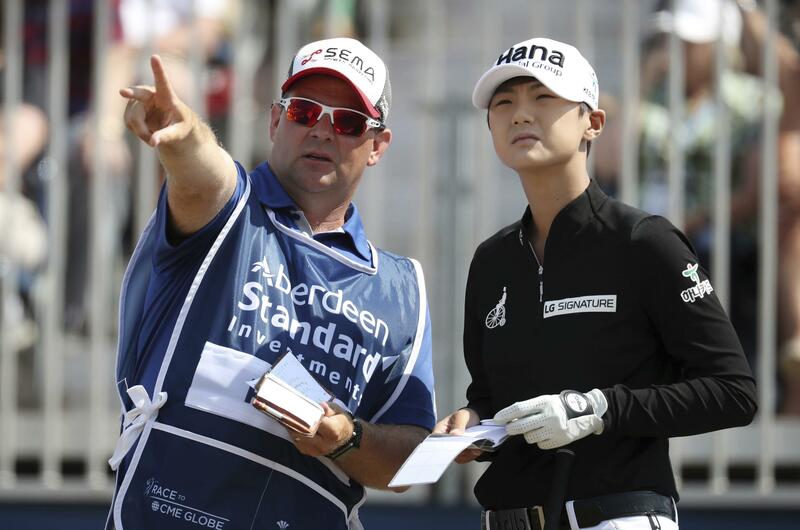 GULLANE, Scotland – Tiffany Joh credited her “hot putter” as she shot a career-best 9-under 62 at the Ladies Scottish Open to take a four-shot lead after Thursday’s first round. “I pretty much kept it in play and putted amazing, that’s the only way I could describe it today,” said the 31-year-old American, who opened and finished her round with birdies. Joh has yet to win in a decade on the LPGA Tour and her best finish in a major is joint-16th at the 2014 ANA Inspiration but she made the most of the hard, fast-running course to gain a significant advantage. Six birdies in eight holes either side of the turn, added to two back-to-back from the start, catapulted her to the top of the leaderboard and she finished in style by picking up another shot at the 389-yard par four. Published: July 26, 2018, 9:18 p.m.